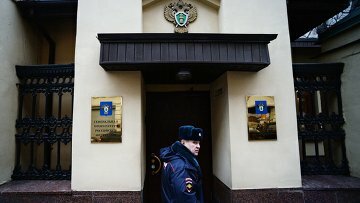 Number of corruption crimes in Russia rises by 12.5% in 7 months – Prosecutor’s Office | Russian Legal Information Agency (RAPSI). MOSCOW, August 30 (RAPSI) – The number of corruption-related crimes has increased by 12.5% in the first 7 months of 2018, the statement of Russia’s Prosecutor General’s Office reads. According to prosecutors, overall more than a million crimes were registered in Russia in this period, which is 42,000 crimes less when compared to the same period of 2017. More than a third of crimes committed in Russia are classified as theft-related. At the same time, the number of grave and especially grave crimes dropped by more than 22%. The Prosecutor General’s Office notes that more than half of the crimes are committed by people, who committed them before. Also, the statistics analysis reads that one in three crimes is committed by a person in the state of alcohol intoxication. 12:59 30/08/2018 The number of corruption-related crimes has increased by 12.5% in the first 7 months of 2018.